How can we relax and learn to do it well? As is often the case, for the answer we have to look towards the animals; or to those humans less disturbed by the tumultuous world, namely our children. When a child sleeps it forgets all problems. When a child sleeps it really sleeps, if it plays then it really plays and when it works it works. There is full intensity in the activity at hand. Adults have the habit of mentally working when they sleep and play, and of sleepwalking when they work. So one basic rule of relaxation is to shut off thoughts on a conscious level about things that you have completed. Don't dwell or brood over problems. Your subconscious mind actually has great powers to solve problems without any need for the thought processes to be at a conscious level. When you have fed the necessary data into the mind about any particular topic, forget it. The mind will churn out the answer when it is required. Your conscious brooding on the problem in an effort to aid the process does not help. Have more trust in the capabilities of your mind. 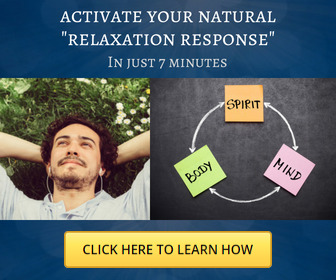 Relaxation techniques start by taking your consciousness away from emotionally charged thoughts and directing it to activities that are emotionally neutral such as the awareness of your breath or different parts of your body. It is almost impossible for anyone to remain or to become tense and angry when their attention is directed towards their big toe. In this wav, relaxation techniques stop the ceaseless and futile cycle of brooding on problems. Simultaneously the muscles are consciously relaxed. Most people, however, may find this a difficult process. During yoga lessons people are told to relax, and though their bodies remain stiff and tense, they believe that they are fully relaxed. It is only when the teacher lifts their arm upwards, and the arm remains straight instead of being limp, that they realize just how stiff the muscles really were. Relaxation techniques require you to consciously order your muscles to relax. Over a period of time of practice it should become possible. It is absolutely normal with animals to be able to consciously command the muscles to let go. When an animal or child relaxes or sleeps, its muscles sink towards the floor, and where possible assume the same shape as the floor. This is a good indication that there is no undue muscular tension remaining. When you immobilize your whole body, as you do in relaxation practices, and systematically relax different parts of the body. what exactly happens? Of course the muscles are relaxed, something they probably very much need to be. Since the muscles are not being used, both the sensory nerves, which send messages from the muscles to the brain and the motor nerves, which send messages of action from the brain to the muscles, cease to function. This cuts off your consciousness of the body. The more you are able to relax and not move the muscles, the less aware of your body you become. You feel light and euphoric because of this disconnection between mind and body. In deeper states ofrelaxation you will find that your mind seems to be completely detached from your body. This disconnection produces wonderful effects. The muscle cells. nerve cells, organ cells, blood vessels, etc. 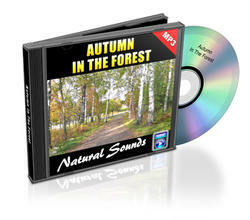 become totally relaxed and in this way are revitalized. And of course regions ofthe brain are given much needed rest from the continual influx of sensory data from the body and the outside world. Further, awareness of different parts of the body or the breath coaxes the mind away from normal patterns of worry of discontent. This has a wonderful calm:ing influence on the mind. The amount of benefits gained from relaxation techniques is in direct proportion to the degree of mental awareness on the practice in hand. If you are not aware of the mechanics of the practice then you will gain little or no results. But if you remain aware throughout the practice, then a few minutes relaxation in this way can be worth more, and be more refreshing than many hours sleep. Many ailments are caused by inhibitions imposed on the body functions by the higher brain centres. By disconnecting your awareness from your body, the lower brain centres are allowed to carry out their duties without hindrance from the higher brain centres. The lower brain centres then start to restore equilibrium in the muscle body tone and endocrinal system. Further, your awareness on different parts of the body, or whatever, as prescribed by the practice, removes stress and fear. As such the adrenal glands stop injecting adrenaline into the blood system. This brings the body down to a lower level of activity. The whole body is allowed to rest from its continual stimulation. All the previously mentioned factors interrelate with each other. A reduction in thoughts and worries reduces the adrenaline level in the blood. The reduction of adrenaline in the blood reduces the intensity of emotional and mental conflicts and so on. The overall result must be experienced to be believed: an indescribable feeling of freedom from mental turmoil. You must try it for yourself.